Ottawa-based high performance notebook vendor Eurocom Corp. is introducing a new channel program and strategy. 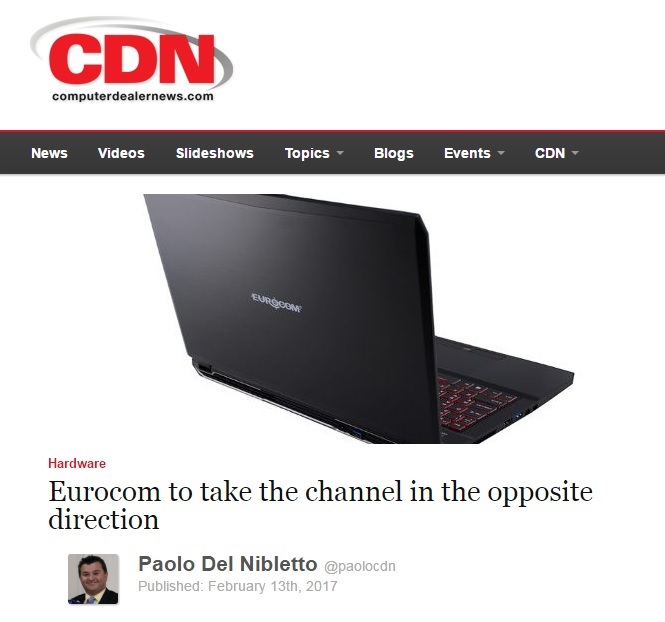 In its history, Eurocom has taken a niche approach to the market with its products but going forward the company is committed to educate the reseller channel on new profitable ways in selling hardware as well as pushing them into new vertical markets. Eurocom founder and president Mark Bialic, told CDN as the industry continues to offer more commodity or consumer-grade computing, Eurocom is going in the opposite direction by offering upgradable systems.